FutureHack is the art of creating your own future. Whether students decide to start their own businesses as entrepreneurs or join large organizations as intrapreneurs, their success depends on their ability to be self-motivated, resilient, creative and resourceful life-long learners.These core FutureHack qualities are the cornerstone of an entrepreneurial mindset which is needed to lead a team, sustain innovation, and achieve long-term success. FutureHack’s mission is to develop independent, self-motivated leaders, capable of identifying and solving the global challenges of tomorrow. 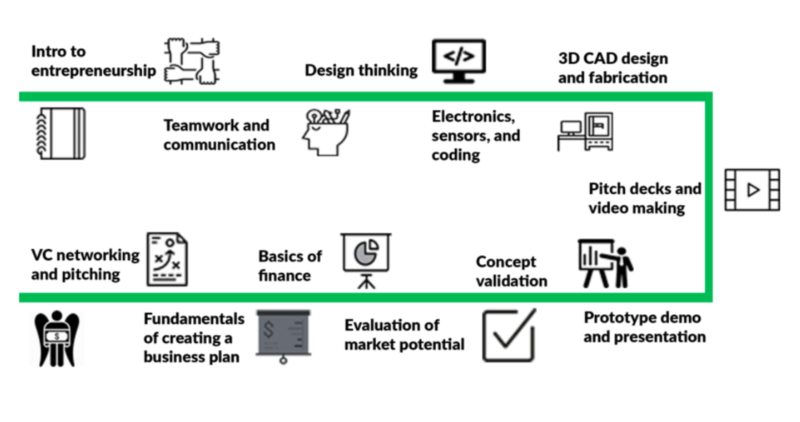 We achieve this mission using our innovative curriculum that takes students on a journey of self-discovery, to learn about the disruptive impact of future technologies and effective business strategies set out in MIT’s Entrepreneurship Curriculum. Students don’t just learn these principles — they put them into practice by forming teams, ideating innovative solutions and pitching their real-world solutions to a panel of professional investors and entrepreneurs. This experience along with the FutureHack global community of students and mentors empower students to make better educational and career decisions. We start by taking students on an inward journey to learn more about themselves and to discover their true passions, talents, and purpose. We help our students maximize their future success by providing in-depth lessons on how to harness their strengths and align their talents with the technological roadmap of the future. Because of the disruptive impact of new technologies such as AI, Robotics, Nanotechnology, Synthetic Biology, and AR/VR, we take students to the forefront of the digital revolution by introducing them to technologies such as Microbots, Arduino, Lego Robotics, EXLhub Coding, NV Bots 3D printing, VR/AR and many more. Students will infuse these technologies with their passions and talents by using MIT’s 24 Steps of Disciplined Entrepreneurship. Through presentations, insightful discussions, and highly engaging hands-on activities led by experts, students and their teams will learn how to develop an exponential mindset and apply these technologies to their ideas and talents to create solutions that can make a positive impact to the world. Students will be taught MIT’s 24 steps of Disciplined Entrepreneurship. Our instructors have been trained to teach the rigorous MIT Entrepreneurship Curriculum by MIT Professor BIll Aulet and the MIT Global Entrepreneurship Bootcamp team. The MIT Global Entrepreneurship Bootcamp was created to disseminate MIT ‘s entrepreneurship methodology around the world, to nurture more entrepreneurial talent to help solve critical problems within their own communities. The steps are broken down into 6 essential questions for a startup: Who is your customer? What can you do for your customer? How does your customer acquire your product? How do you make money off your product? How do you design & build your product? How do you scale your business? Armed with this new knowledge, students can identify real-world problems, form teams to ideate and pitch their real-world solutions to a panel of professional investors and entrepreneurs. FutureHack attracts high-achieving, self-motivated individuals who want to “be the change they wish to see in the world” as Ghandi stated. By living and working with their peers, students from around the world learn about cultural differences through teamwork, negotiation, and listening, thus helping them understand problems from different perspectives. Our fun and transformative programs have created a quickly growing network of FutureHackers from around the globe, spanning 12 countries and 17 languages. In addition to a global FutureHack network, our students also have access to MIT’s Global Entrepreneurship Bootcamp network whose members serve as mentors and instructors for FutureHack. The FutureHack network is an invaluable resource that students take home from camp along with their memories and their new found entrepreneurial mindset. 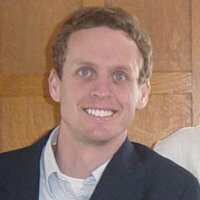 Cofounder – Taktopia & Co.
Dr. Ethan Danahy conducts research in the design, implementation, and evaluation of different educational technologies. Ranging from software and hardware to interfaces and environments, he explores how these tools can improve interactive educational pedagogies through supports aimed at learners in K-12 through university classrooms. With particular attention to engaging students in the STEAM content areas, he focuses his investigations on enhancing creativity and innovation, supporting better documentation, and encouraging collaborative learning. 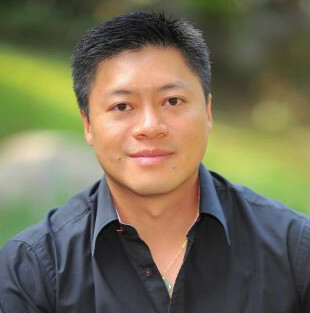 Haihong Sun is an innovation strategy and design thinking expert with over 18 years of professional experience in both US and China. 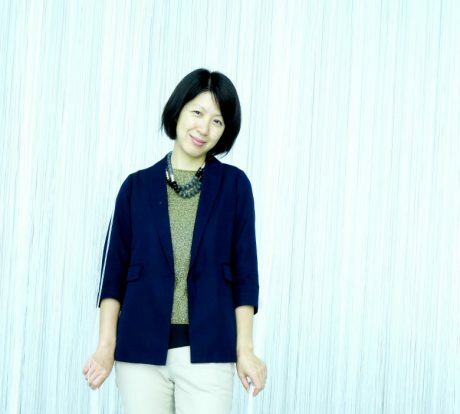 Before launching the Youth Innovation Academy in China, Ms. Sun was the General Manager for Continuum Innovation Consulting’s China Office and S.Point Design based in Shanghai. She was previously the COO of Banking & Client IT Department for Investment Bank Credit Suisse Group, based in New York City. 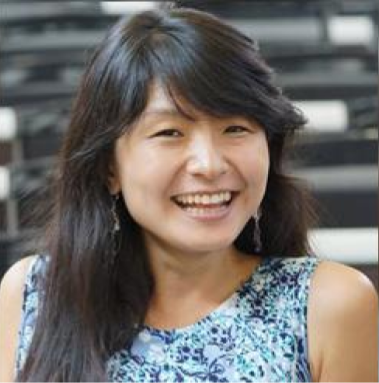 Ms. Sun holds an MBA degree from MIT Sloan School of Management, an MS degree in Information Systems from Rochester Institute of Technology and a BA from Oriental Studies Department at Peking University. Ms. Sun has three children at 10, 6 years and 7 months of age. They are all deeply addicted to hands-on creativity. 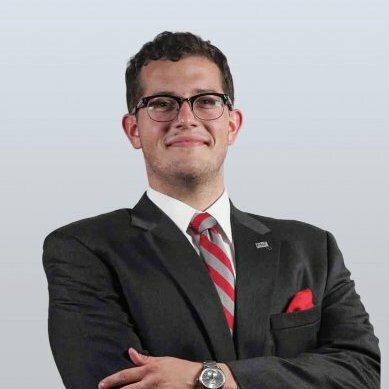 AJ (Alfonso) Perez is the founder and Chairman of New Valence Robotics (NVBOTS), a Boston-based robotics company that has developed the world’s first fully automated cloud 3D printing management platform and multi-metal 3D printing. AJ holds a BS ’13 in Mechanical Engineering and Masters of Engineering in Advanced Manufacturing ’14 from MIT.